How Do You Spell RIFLES? 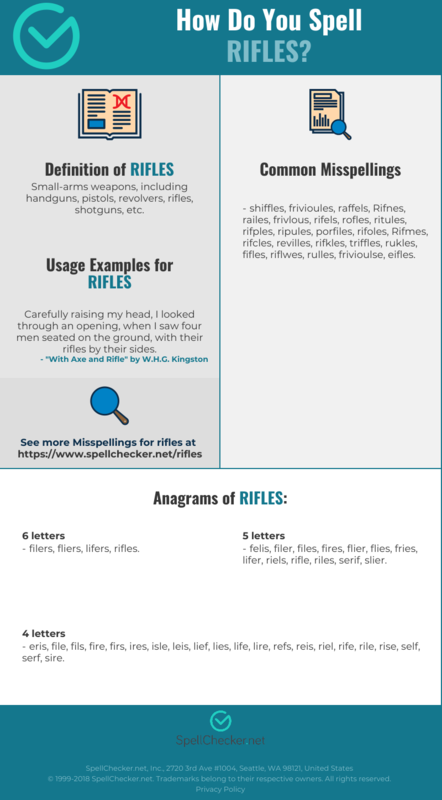 Correct spelling for the English word "Rifles" is [ɹ_ˈaɪ_f_əl_z], [ɹˈa͡ɪfə͡lz], [ɹˈa‍ɪfə‍lz]] (IPA phonetic alphabet). 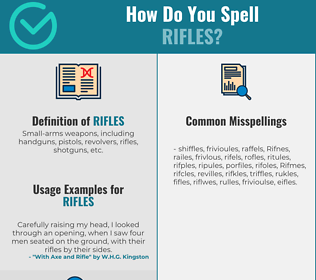 Below is the list of 197 misspellings for the word "rifles". Small-arms weapons, including handguns, pistols, revolvers, rifles, shotguns, etc.